Following the rapid rise in popularity of e-cigarettes, nuclear magnetic resonance (NMR) spectroscopy could help policymakers grappling with regulation. E-cigarettes are marketed as a healthier alternative to traditional cigarettes, as smoking cessation tools and a means to circumvent indoor smoking restrictions. However, since they were introduced in 2005 there has been ongoing debate about how they should be regulated, in part, because of uncertainties about how harmful they are to health. Since this time, there has also been a spectacular rise in their popularity, with the global market expected to reach US $3.5 billion in 2015. However, with the World Health Organization not expecting reports on the long-term health consequences of these devices for decades, decisions about how they should be regulated have been based on scant data on composition analysis and exposure estimates. Consequently, countries have taken a variety of approaches to regulation with some following the precautionary principle and banning the sale of e-cigarettes altogether, while others plan to regulate them either as medical devices or tobacco products. 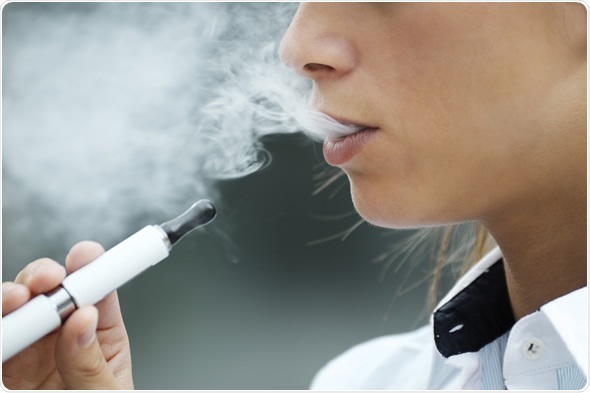 E-cigarettes are a type of electronic nicotine-delivery system that use aerosolised nicotine to produce a vapor, similar to that of tobacco cigarettes, but which purportedly contains fewer toxins. However, only a handful of studies have analyzed the composition and toxicological profile of these products. In addition to nicotine, e-cigarettes contain ingredients such as propylene glycol, glycerol, ethylene glycol and polyethylene glycol mixed with concentrated flavors. Studies to date have reported that they contain varying quantities of nicotine, such that some products that claimed to be nicotine-free were not and others that claimed to contain nicotine did not. 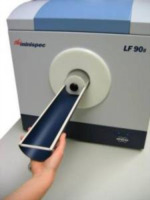 These studies have primarily used gas or liquid chromatography combined with mass spectrometric detection. Such methods have a high level of sensitivity but have the disadvantage of being labor-intensive and time-consuming. A recent study by Hahn et al. (2014) showed that NMR spectroscopy could be used to quickly detect the ingredients in e-cigarette liquids. The researchers analyzed 54 samples of e-cigarette liquids that were available in Germany. On each they performed two NMR analyses: one for water-soluble compounds (including nicotine) and the other for lipophilic (fat-soluble) substances. Similar to previous reports, the researchers found that product labelling did not always reflect nicotine content. Only 18 of the 23 samples that were supposedly nicotine-free could be confirmed as such and one sample which was declared as containing nicotine had none. The researchers then used the margin of exposure (MOE) method to estimate the risks posed to consumers for each detectable compound (where values <100 represent risk and values <1 represent high-risk). The only median MOE value indicating high-risk was for nicotine, at below 0.1. No other substance – including glycerol, 1-2-propanediol, ethylene glycol, 1,3-propanediol, thujone and ethyl vanillin – had a median MOE below the safety threshold of 100. The researchers note that they were unable to detect tobacco-specific impurities using NMR because these are usually found in trace concentrations, which NMR is not sensitive enough to detect. However, previous studies indicate that these are usually present at levels below those deemed to cause harm. Nevertheless, Hahn et al. advise, on the basis of their findings, in favor of e-cigarette regulation. They suggest that greater quality control could ensure consistent nicotine delivery both within and between devices. They found that NMR could be a means for implementing such quality control as it can detect multiple compounds with a single spectrum. Furthermore, as their research took only 20 minutes per measurement per sample, the method provides rapid results. Hahn et al. were able to achieve this high throughput using Bruker automated devices and software. Bruker products allow for the full automation of the NMR workflow, from sample preparation and sample changing to data analysis and archive. 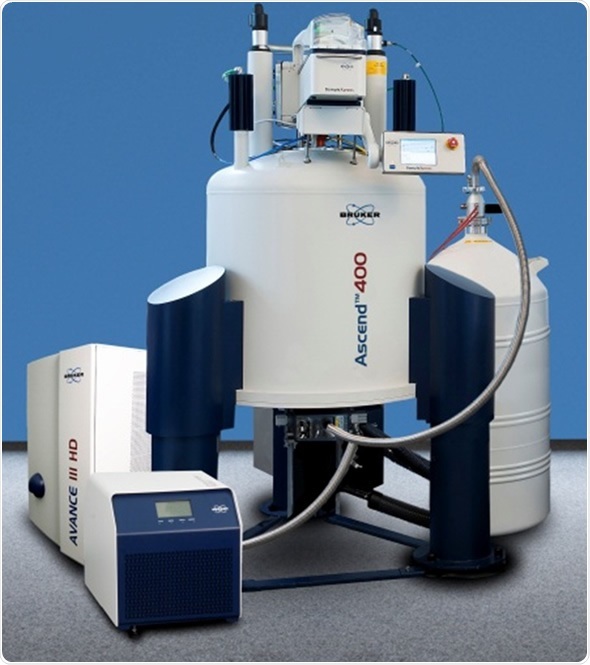 The Bruker Avance III NanoBay NMR device, part of the same series that the researchers used, offers highly integrated state-of-the-art spectroscopy, enhancing both productivity and quality. The researchers coupled their Bruker Avance device with a Bruker Automatic Sample Changer and data were automatically acquired using Bruker ICON-NMR software. Fleck, F. Countries vindicate cautious stance on e-cigarettes. Bulletin of the World Health Organization 2014; 92: 856-857. Geiss O, et al. Characterisation of mainstream and passive vapours emitted by selected electronic cigarettes. International Journal of Hygiene and Environmental Health 2015; 218: 169-180. Hahn, J et al. Electronic cigarettes: overview of chemical composition and exposure estimation. Tobacco Induced Diseases 2014; 12: 23. Ranasinghe, D. E-cigarettes: Smoking hot among these consumers. Available at: http://www.cnbc.com/id/102521988. Date accessed: 17th May 2015.